Fall gives us the opportunity to change the way we think about food. In the warm months we look for something cool, crisp and light, whereas in the fall, we crave something a little more filling, warming, and comforting. 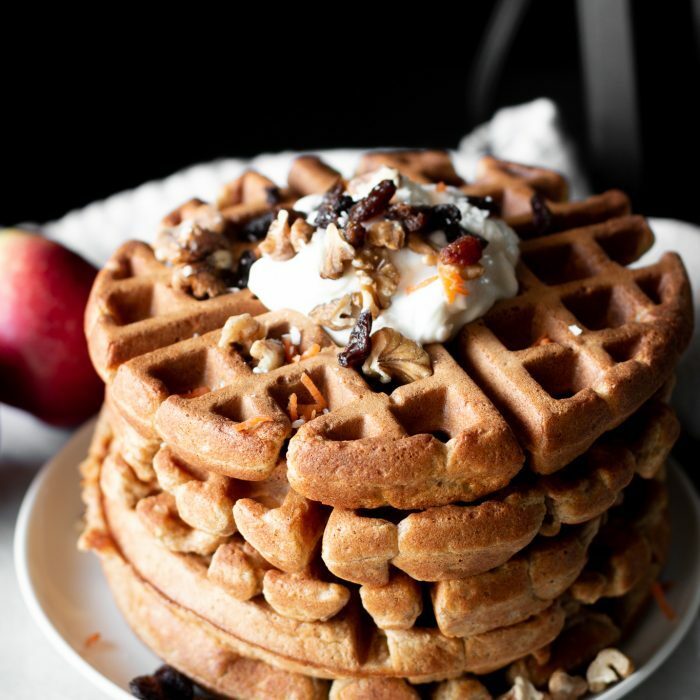 Luckily, the best of this season’s harvest are ingredients we use to create meals that are exactly that: Comfort foods! We find joy in staying in and cooking in our warm kitchens. The one catch is that cold weather recipes can be a lot more time consuming than throwing together a salad or even expertly constructing a sandwich. Soups, stews, casseroles, pies and pasta, take more cooking time, but are amongst our top favourite foods during the cold season in Canada! This week, we have a new recipe that will have you enjoying a warm and filling meal, but with a twist that makes it a breeze to make. 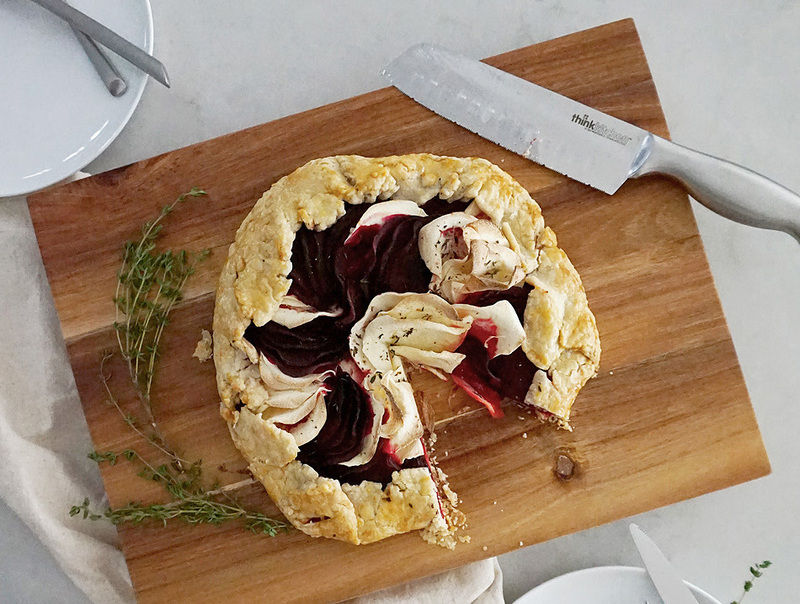 Get ready for a tasty dish; we’re making a beet, parsnip and goat cheese Galette! 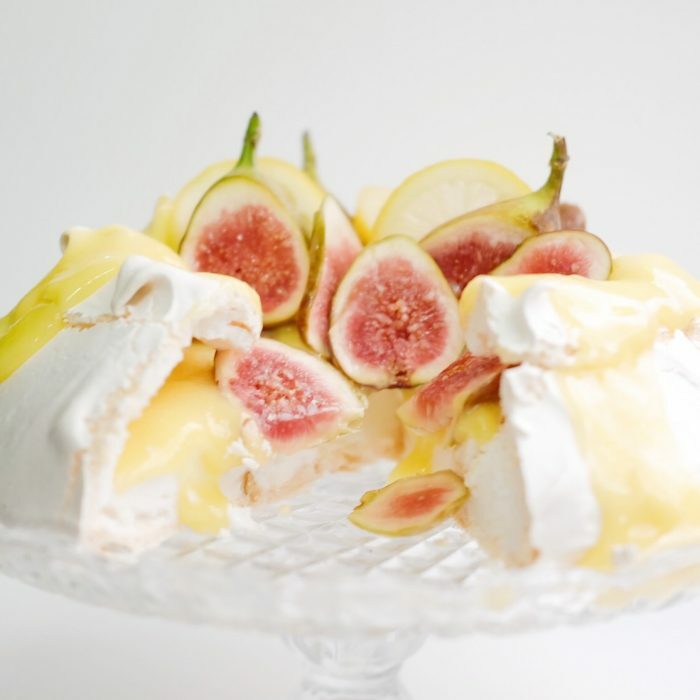 Also known as a free-form pie, you may have already heard of it before, seen its sweet and fruity sister-version on Instagram, or tried the traditional Québecois dessert Galette du Roi (the only similarity is in the name, this one is more of a cake). 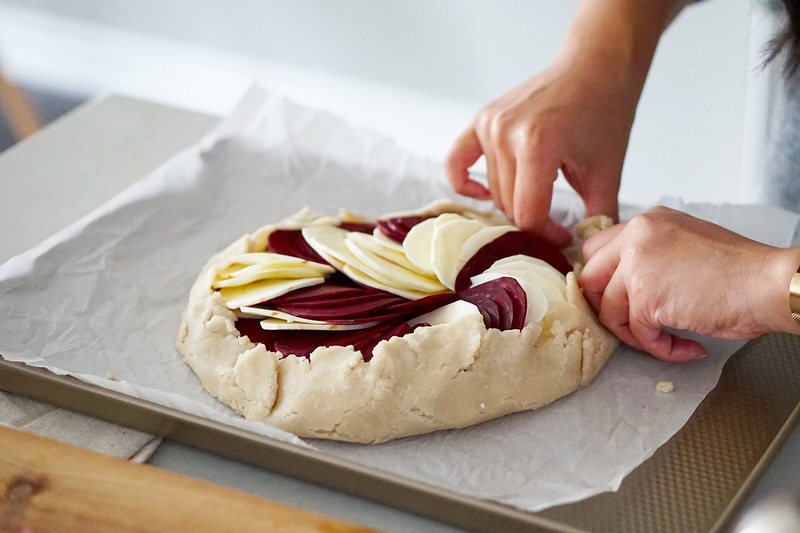 Thanks to Amanda Ing, the content creator behind @theingdex, we see how easy and delicious creating a savoury Galette and a filling fall meal can really be! Perfect for beginner bakers, Amanda shows us that the best thing about a galette is that it has all the great tastes of a homemade pastry pie, minus the headache of getting the top crust right. Plus, without the pie dish to deal with, you can simply place the filling into the middle of your dough on a flat baking sheet (Amanda used our new Remy Olivier Diamond Baking Sheet) and fold it in. This allows for the dough to cook faster, leaving your filling tender, but not at risk to be overcooked. 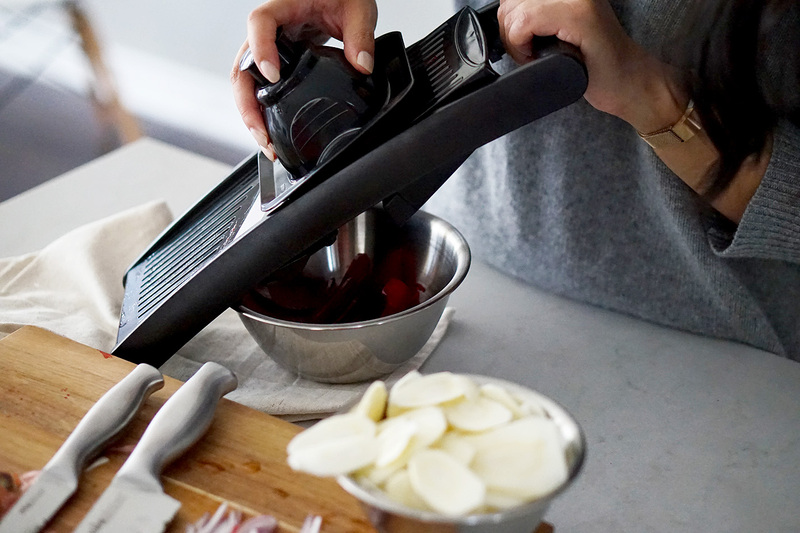 Keep in mind that the beets and parsnips will bake best if they are thinly sliced–a mandoline would be the perfect tool for getting the job done! 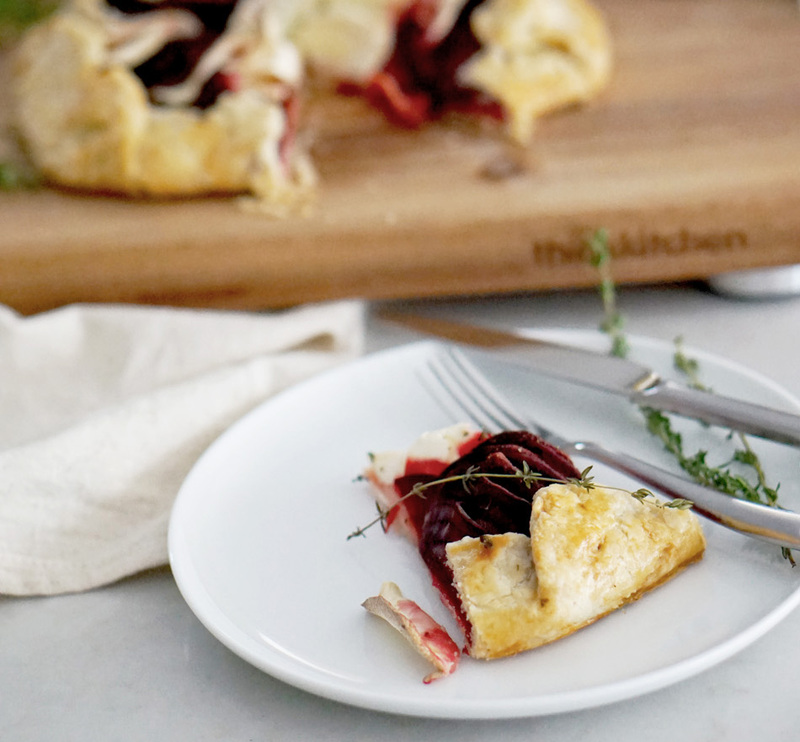 Curious about what else you can do with a savoury Galette? This recipe also makes a great option as an appetizer! Just cut it like a pizza (the slices are perfect hand-held sizes) and serve it as a starter at a holiday party or your next potluck! Use your favourite pie dough recipe or use ours below! Cut your shortening into this dry mixture using a fork or dough blender until coarse crumbs are created. Add the egg white and white vinegar. Mix. Add ice cold water as needed until the dough sticks together. Shape the dough into a ball, slightly flatten, wrap it tightly in cling wrap and place it in your fridge for at least 30 minutes. Preheat your oven to 400oF. 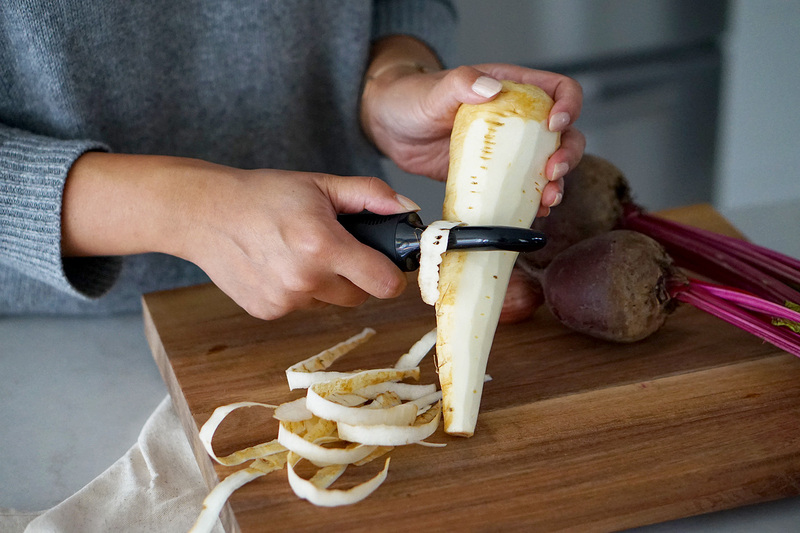 Thinly slice the beets, parsnips and shallots using a mandoline or sharp knife. Keep these in separate bowls. Toss beets and parsnips with olive oil. 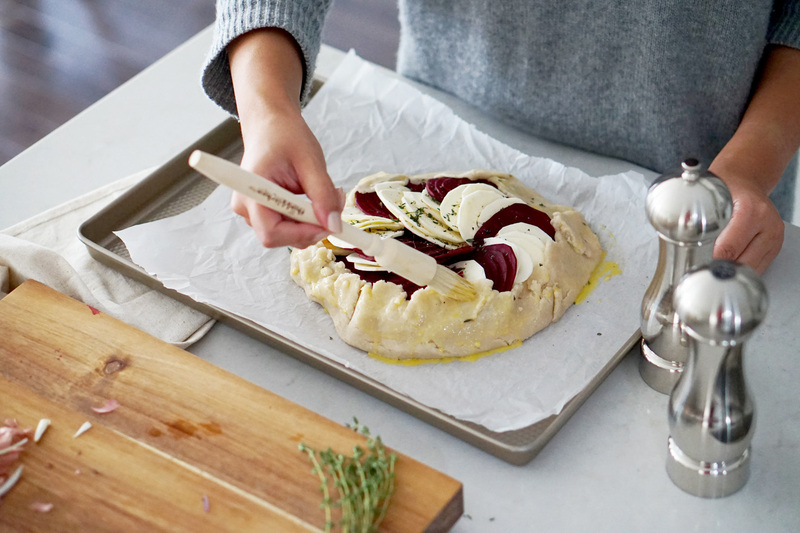 Spread goat cheese onto the crust, leaving a border around the perimeter of the crust that’s about two inches wide. Sprinkle thyme, salt and pepper on top. Fold and press in the 2-inch border to create a crust. Make an egg wash with the egg yolk and brush your crust with it. Place the galette on a cookie sheet and bake at 400oF for 15 minutes. Lower the temperature to 375oF and bake for another 30-45 minutes, or until vegetables are fork-tender and the crust is golden. If you find the crust is browning too quickly, cover with tin foil. Let cool for 15 minutes. Slice and serve! 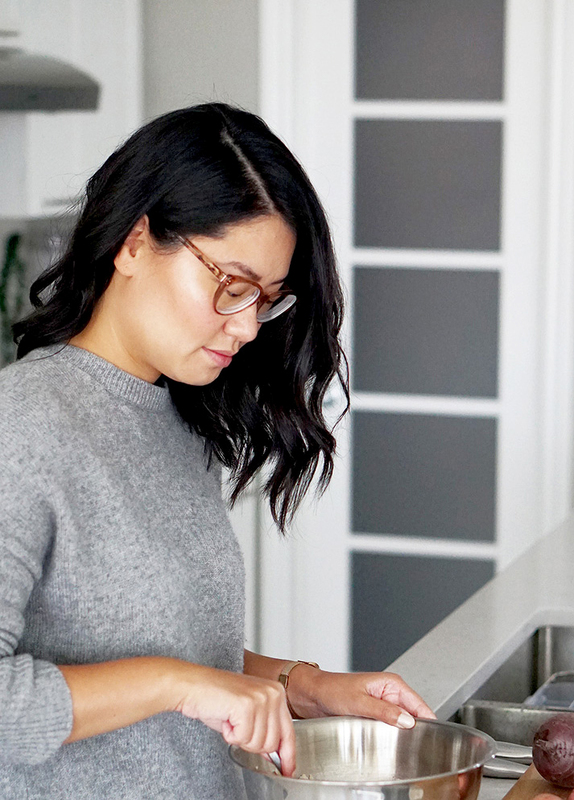 By day, Amanda is a communications specialist and, by night, she’s a digital content creator. She was born and raised in Ottawa and continues to call the nation’s capital her home. 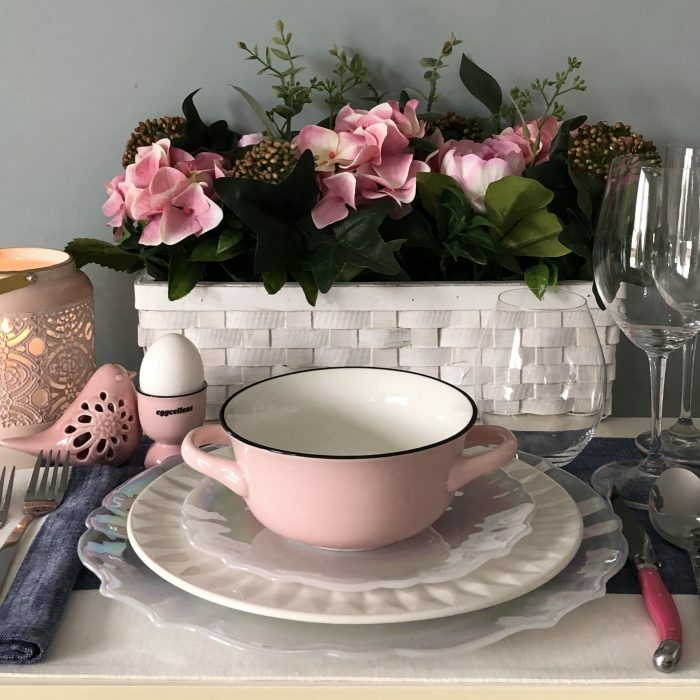 Amanda has been named one of the Most Aesthetically Pleasing Ottawa Insta-Bloggers by Ottawa Life Magazine and her photos have been featured in Narcity city guides. As the daughter of two local restauranteurs, food has always been a focal point in Amanda’s life. 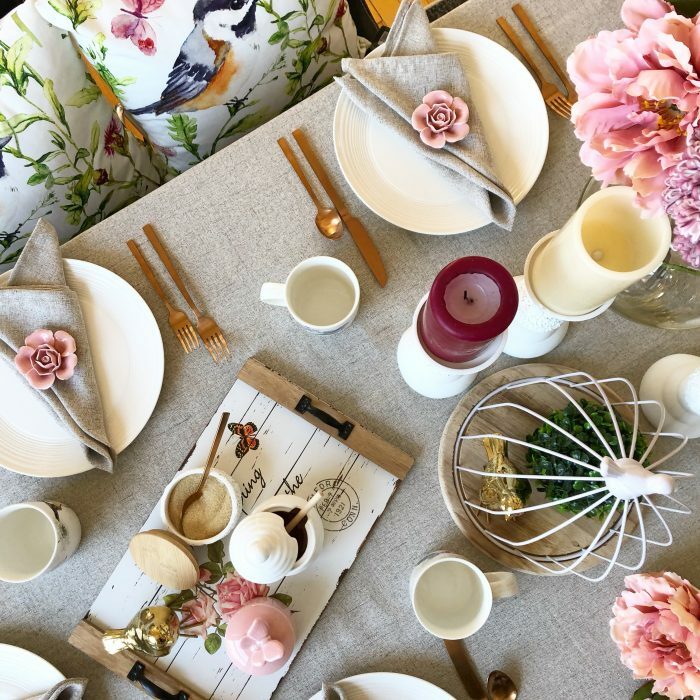 Now, she enjoys crafting her own recipes as well as tasting creations from talented chefs around the city and the world (including, of course, her parents). Follow Amanda’s Instagram page, @theingdex, to see more of her food, travel and lifestyle photography. Finally getting around to trying this recipe out, there is something to be said about the freshness of this dish. It is very easy to follow and the result is delicious to the eyes, nose and, most importantly, mouth. I sliced with a knife, but I think that using the mandolin would have made things much easier in terms of getting all the slices of beets and parsnip just right for the baking process. The hardest part would have been getting the crust just right, but again, following the instructions and keeping an eye on the crust as it turned gold in the oven was important to the success of this recipe. 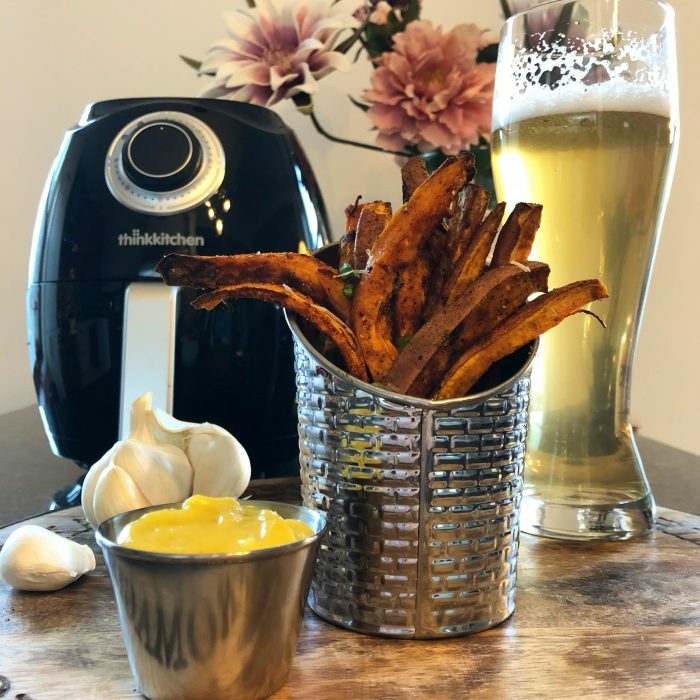 Thanks Stokes, Think Kitchen and @theingdex for the share!